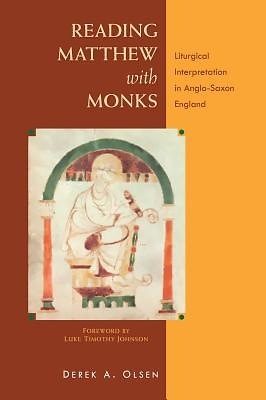 In Reading Matthew with Monks, Derek Olsen seeks to evaluate whether early medieval monastic biblical interpreters can serve as effective conversation partners for modern readers who are committed to broadening their reading of Scripture. Olsen puts the interpretations of four modern Scripture commentaries in conversation with AElfric of Eynsham's medieval monastic interpretations of four texts from the Gospel of Matthew. In so doing, he clarifies early medieval interpretive contexts and assesses their usefulness in modern scholarship. As outsiders in modern critical debates, AElfric and his sources may provide alternative approaches or perspectives that open interpretive possibilities where modern interpreters are locked in disagreement. Early medieval monastic interpreters can serve as excellent guides for understanding the potential for moral, spiritual, or formative meanings of a biblical text. They can help modern readers who are attempting to conform their lives to the biblical text.